Home / gist / Gordons suggest that Federal Government Should Ban Tithes and Offerings In Churches ...why? Gordons suggest that Federal Government Should Ban Tithes and Offerings In Churches ...why? 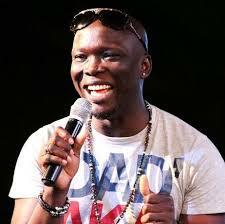 Popular comedian, Gordons has called on the Federal Government to ban tithes and offering collection in churches within the country. Gordons gave the advise via his latest comedy collection entitled ‘Comedy Clinic.’ He said, The only solution to our problems in Nigeria today is religion. I will be the happiest person in the world if the federal government place a ban on giving of tithes and offerings from churches. I tell, we will continue to lament as long as these people keep collecting the little one we have in the name of offering. By the time tithes and offerings is declared illegal, then we will know those who were called by God and those who called themselves in the ministry. I tell you, some people actually saw miss call and not calling into church ministry, He added.